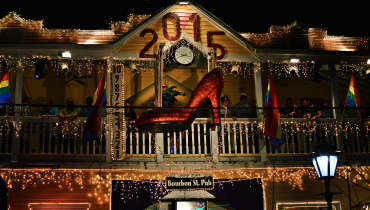 Santornin honeymooners this blog post is your to do list! For many of you, this destination is on your bucket list, and I don’t blame you. It is one of the most known islands of Greece but not for its sandy and light blue beaches as all other Greek islands. It is known for its majestic view, its breathtaking sunsets, the beautiful wines produced locally and the amazing food. Every year more than 20 million people visit Santorini and enjoy this little wonder of Greece in the middle of the Aegean sea. With no doubt, we had to choose this island for our honeymoon. We both had been there before, but this time we were going to do it right and enjoy what this island had to offer at its most. 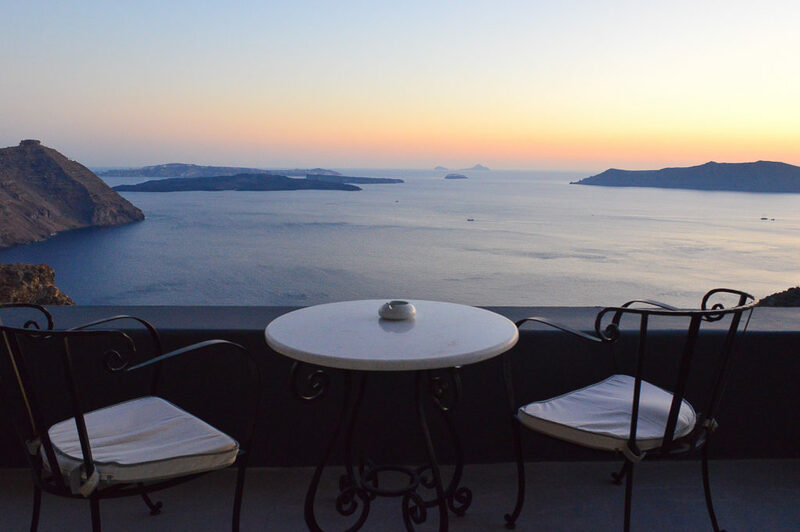 We had never experienced a caldera view hotel and this summer we had the best excuse to do so. After all, it was our honeymoon. 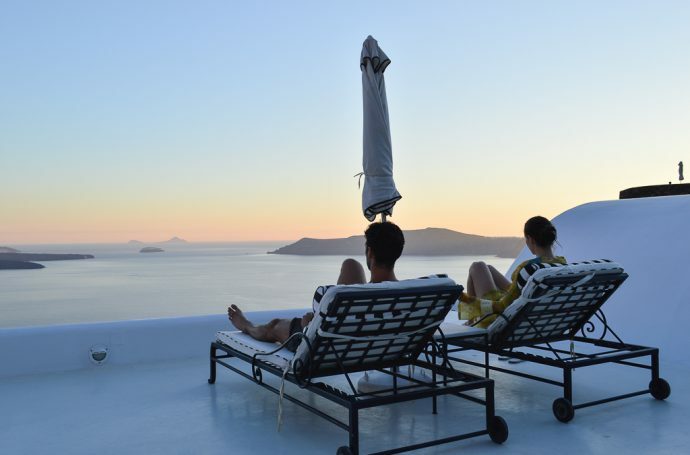 There are a few things though that you need to know about Santorini so I will do my best to prepare you so you can enjoy the most of your holiday especially if it is your honeymoon. 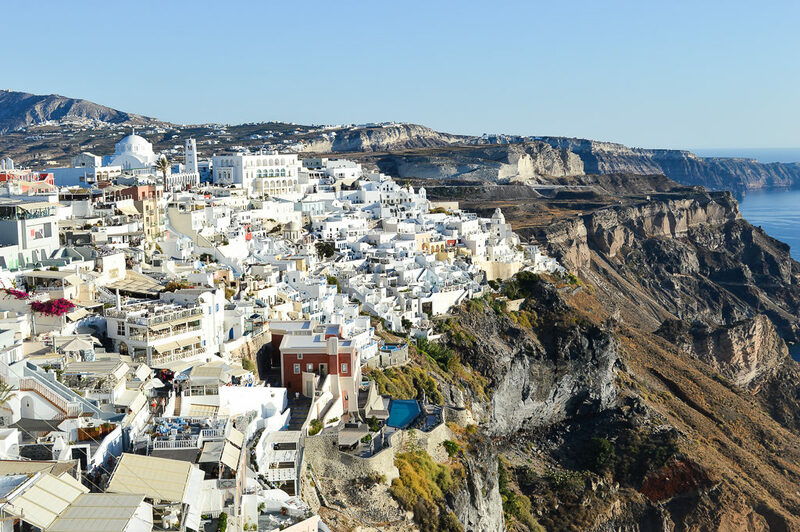 Greece is known for its great value holidays and amazing travel deals, however, Santorini will not be the place that you will get them, (if you have found deals do share). 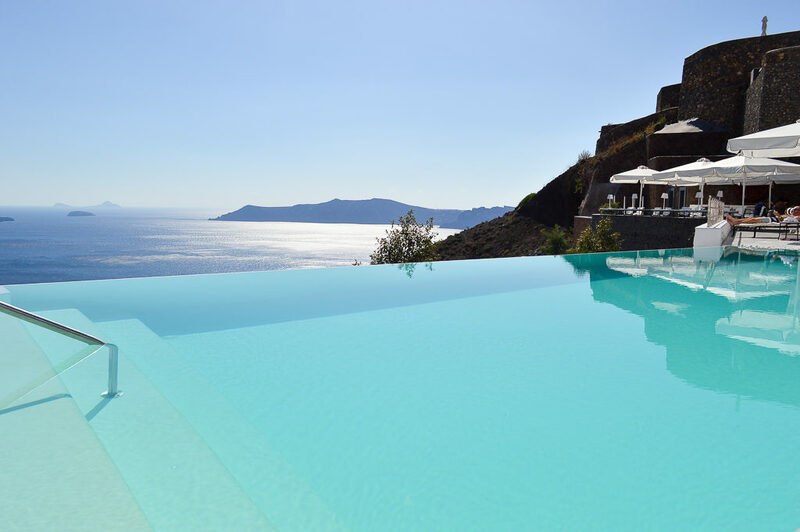 If you are looking for an unforgettable holiday with views of the Caldera, tasting exquisite cuisine then be prepared to dig in your pocket a little deeper than usual. Flights to Greece can be moderately well priced depending on the season and the same can apply to the hotels. 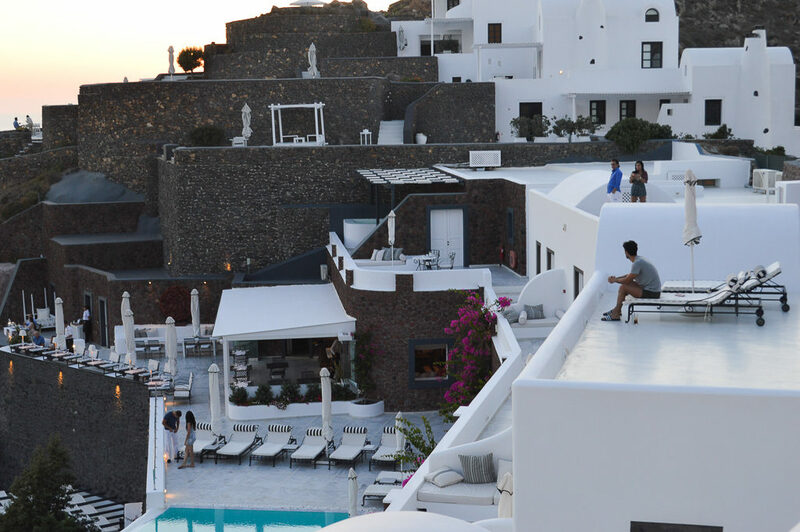 However, whereas in other islands you can find a decent hotel with 100 euros per night, in Santorini this bar is raised higher and the caldera view hotels can be quite expensive depending on the season. So be prepared and save or go during the low season where you can get a few better deals. 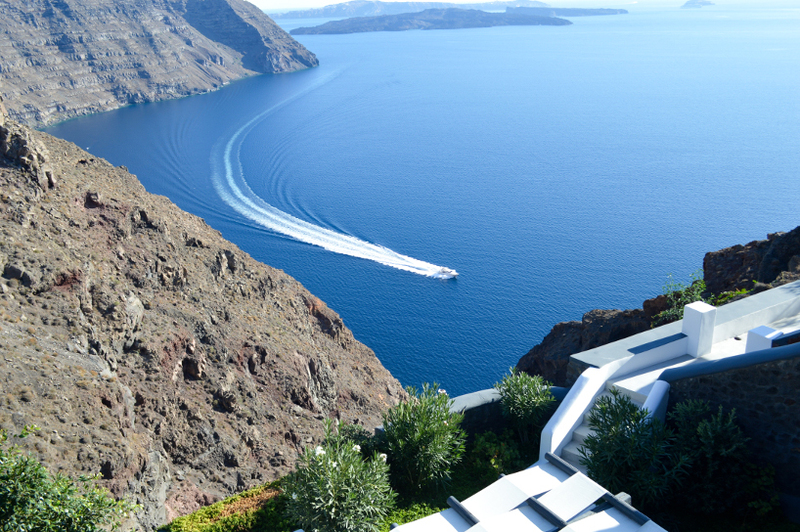 Rest assured that Santorini will offer you anything that you might have dreamed. It is peaceful, but at the same time, there is a lot going on. If you are honeymooners where the only thing you are looking for is a very relaxed holiday where you lay by the pool, eat, and enjoy the caldera view then the only thing you need to do is research and find the right hotels that will offer just that. There are a number of hotels that can offer you just that and even more. However, if you are looking for adventures and you want to explore the island there is a number of activities such as volcano tours, visiting Akrotiri, the village covered by lava, and lots of sunset tours taking you in Oia by boat and seeing the sunset from sea level. It is worth doing as it is breathtaking. Apart from these activities if you are a food and wine lover Santorini has over a dozen of wine producers all producing varieties that you will only find there, like Assyrtiko. 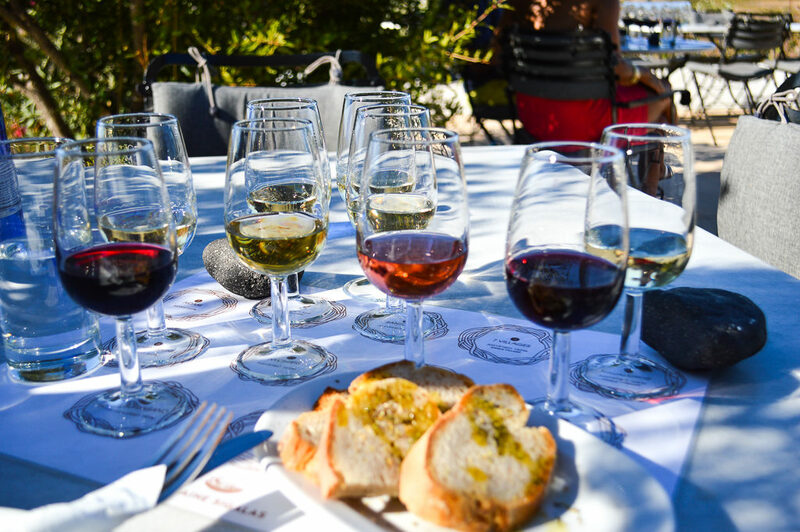 You can book a wine tasting where you will you get to explore many different varieties of wine and will get trained by the sommelier on the acidity and flavours of different wines. We went on a wine tasting tour in Sigalas winery and it was one of the best experiences I have had while there. 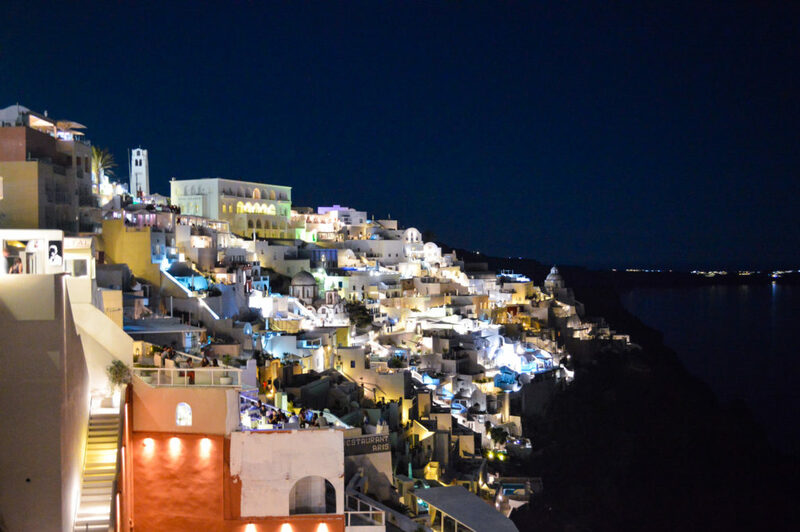 Santorini is also known for its many award-winning restaurants and you can find a lot of them in Oia. The Caldera view is something magical. Even though I have been in Santorini five times, every time I get the same feeling.The view draws you, it captives you, by just staring at the deep blue sea you feel relaxed and energised. I wouldn’t blame you if the only thing you did while there’s was just to enjoy the view and lose yourself in it. 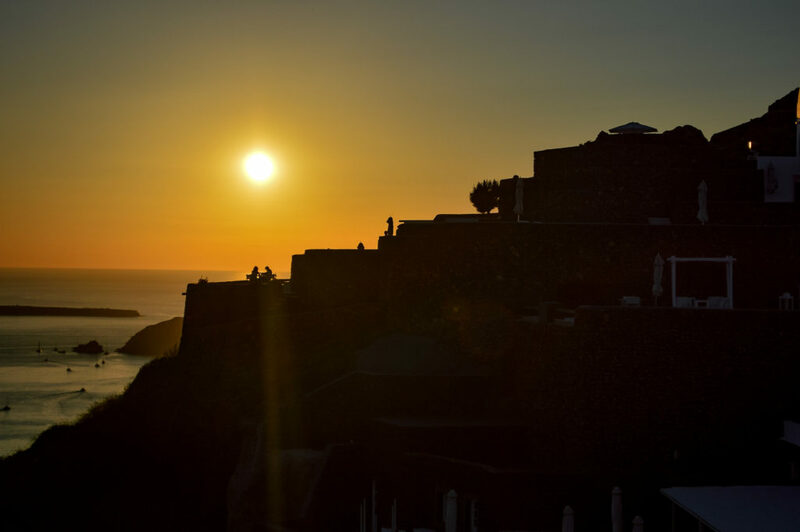 The second thing you all have heard about Santorini, apart from the Caldera View is the Sunset in Oia. It is truly one of the most beautiful sunsets I have seen in my life as the sun sets in the sea and it looks like it is sinking. The light is so beautiful and you feel the amazing energy of the island at that moment. What you need to know is that Oia gets very busy during sunset hour and you will not be the only one there. You might be fighting for a place to see it. So what I would advise is to either enjoy it from sunset tour by boat or make sure that you have a private villa for the days you are there so no one can bother you. It is worth every penny doing so. As it was our honeymoon we wanted to have some private moments and take in all the amazing time we had during our wedding. We, therefore, looked for a hotel that could offer just that. 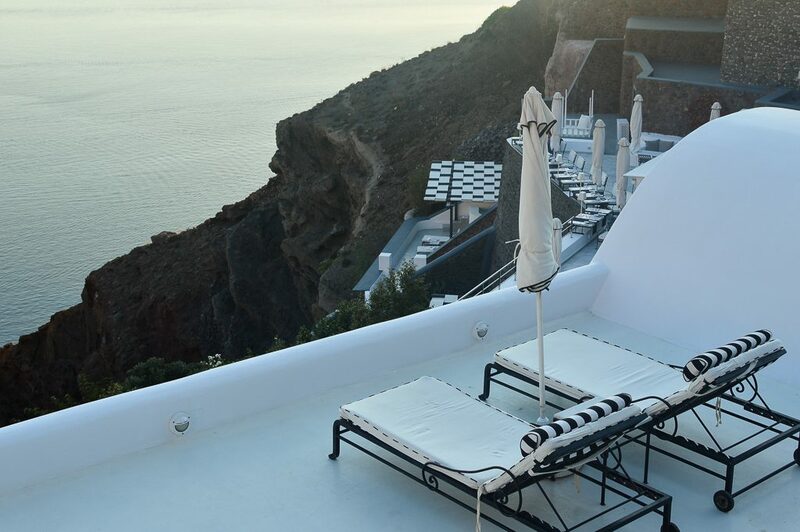 We were so pleased that we chose San Antonio hotel for our three nights in Santorini. It is located in the Imerovigli area but is far out from the main village and is actually hidden and build on the caldera. That was one of the most impressive hotels I have ever visited with the friendliest staff. I hope I get to visit San Antonio again and relive the amazing moments we had there. Have you ever visited Santorini? I would love to know how you spent your days there and what you did in the comments below.